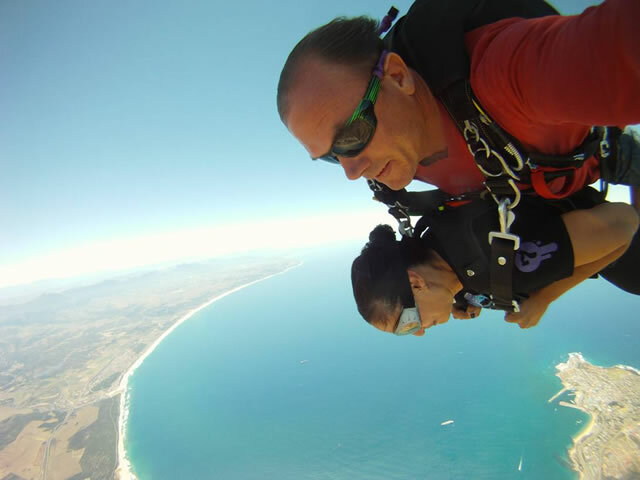 Just 40 minutes from the centre of the city – direction West Coast – you will reach one of the most awesome dropzones in the world. The choice is yours to jump from the plane!!! 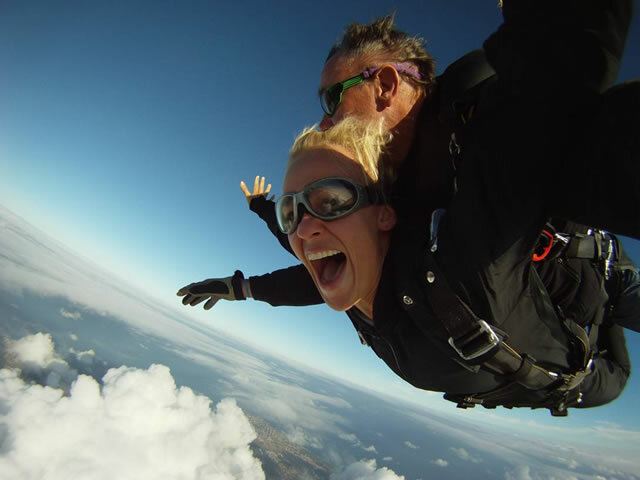 It offers an adrenalin rush second to none and when rushing towards earth on the free fall, you take in the magnificent views of Robben Island, Cape Town and Table Mountain. The parachute ride is approximately 5 minutes. Absolutely no experience is needed, but there is a weight limit – jumpers should not weigh more than 105 kgs. The Drop Zone operates 9 to 4, seven days a week, weather permitting. 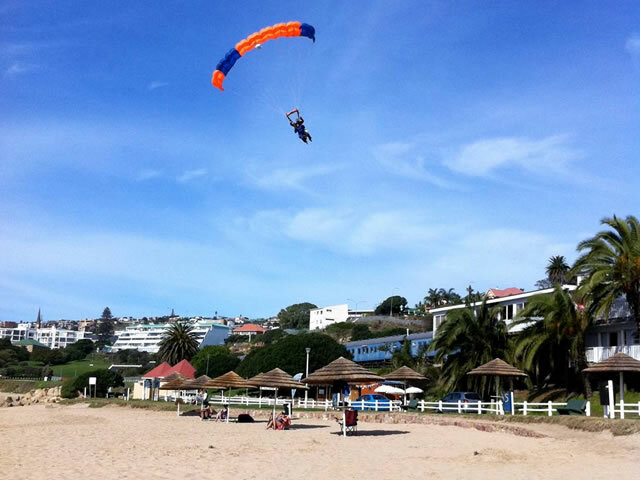 Travelling up the Garden Route – stop off in Mossel Bay and enjoy a skydive over this beautiful area. 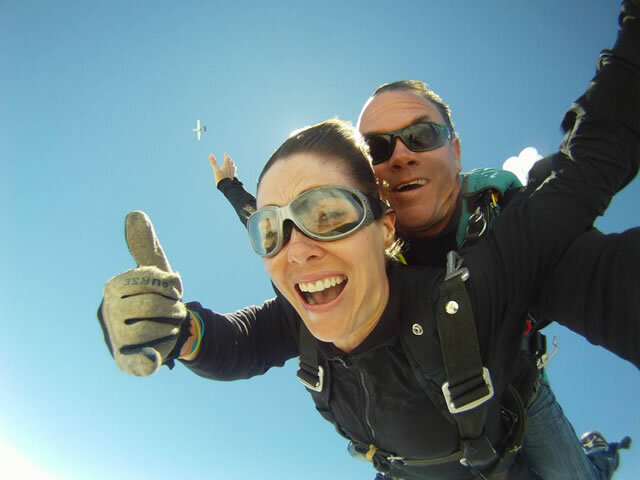 A Tandem Skydive is an experience that will stay with you for a lifetime! 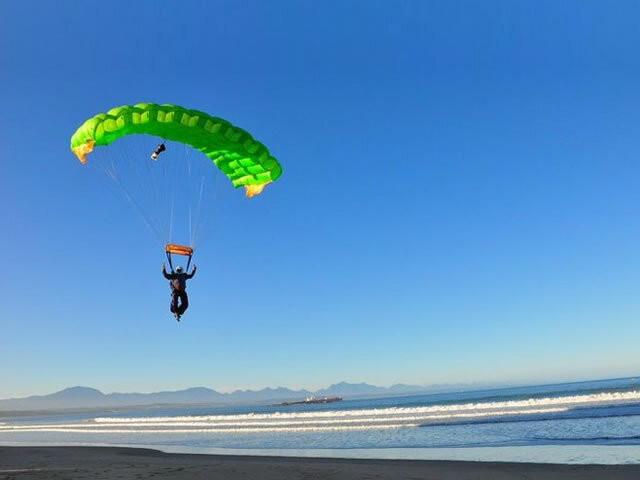 Not only will you enjoy all of the thrill and excitement of freefalling on your very first jump, but you’ll also be taking an exhilarating scenic flight over the Mossel Bay area which lends an eagles view of the Indian Ocean, Outeniqua mountains and beautiful beaches! 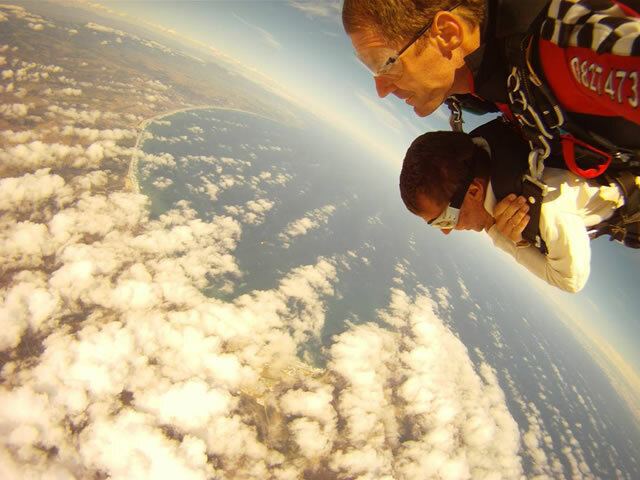 Jumping from up to 10 000′ AGL (above ground level), we’ll free fall at 200 – 290 kph for up to 40 seconds. 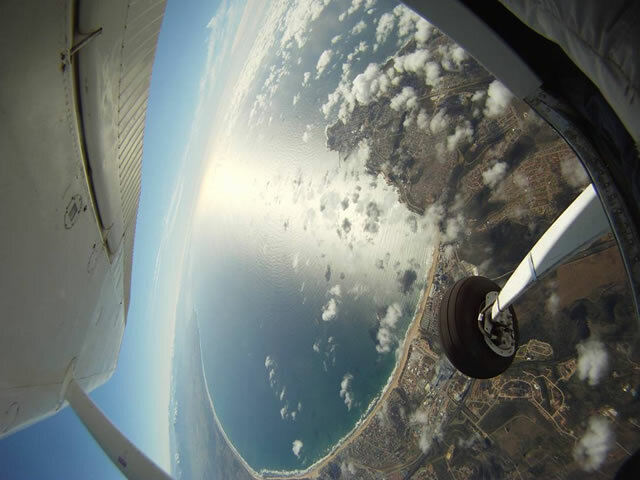 While we “Body Surf” the wind, we can do controlled turns, speed diving, and burn up the sky. 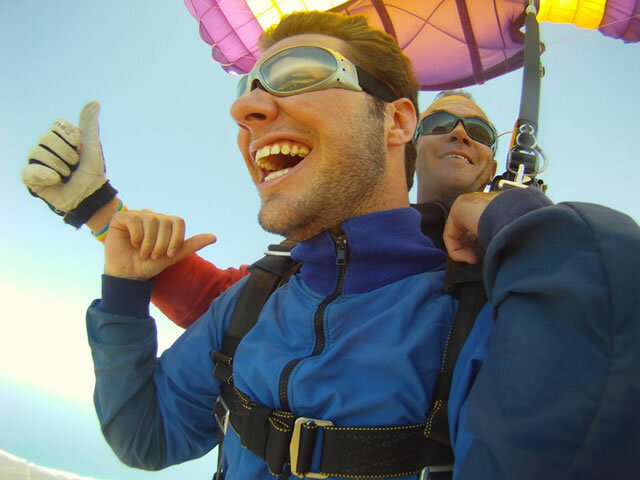 During the 5-7 minutes it takes to reach the ground your instructor can provide either a sedate gentle ride to the ground or a more radical roller coaster experience demonstrating spins and stalls as he skilfully takes you to our landing area. All content © 2019 by Tri Active – Cape Town Events Management, South Africa. Terms & Conditions.